Random Handprints - A NYC Mom Blog... live from New Jersey: It's Holiday Time, Yo. 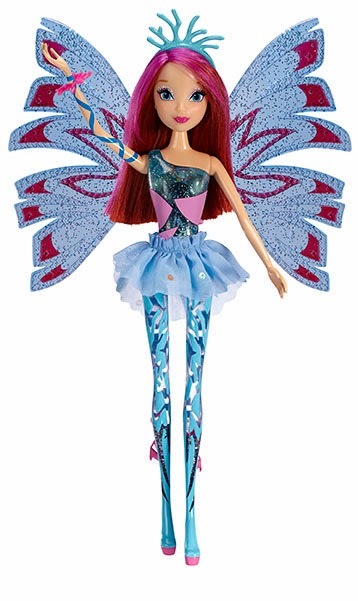 Winx Deluxe Fashion Dolls ($21.99) from Nickelodeon. My daughters (ages 8 and 10) don't watch the show (there is a show, right? ), but they lovd the doll's wings and that they were removable, as well as the fact that the doll has lots of points of articulation and can be easily posed in lots of different ways. Also, the glitter was a big plus, too. 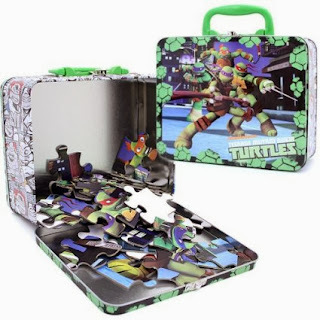 My son, age 4, is a huge fan of the lean, green fighting machines, so he loves this Teenage Mutant Ninja Turtle Lunch Box Puzzle ($8.00). He really likes doing the puzzle and then putting the pieces back in the tin, and I don't think you need me to tell you how much a toy a kid will clean-up on his own is a win-win-win-win-win. Also getting the rave reviews at our house is this Teenage Mutant Ninja Turtle LEGO Set, Stealth Shell in Pursuit ($24.99). My four-year-old son plays with it the most, but his tween-age sisters were more than happy to put it together for him. 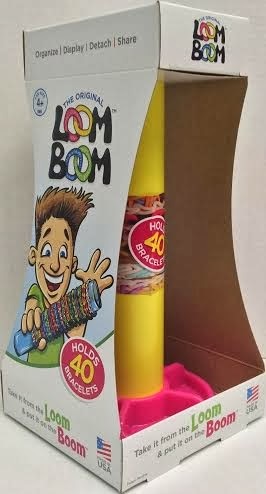 And if you have kids who are Rainbow Loom fanatics, they'll love this brand-new product, The Loom Boom ($9.99). Invented by a five-year-old and brought to market by his mom, this cool catch-all is a great place to store and display finished bracelets and the base makes a perfect home for all those loose looms, too. So what toys are the biggest hits at your house? Disclosure: I was not compensated for this post. I did receive the Winx Doll and the Ninja Turtle products for review purposes from Nickelodeon.